Have you ever hollered out “That’s not fair” during a game? I once saw a group of boys holler at each other through an entire game of basketball. They kept yelling “That’s not fair” over and over and over again. Eventually they were so mad at each other I thought they were going to start physically fighting – fists and all! I tried to help so I asked them what was up. One team said the other side was cheating and of course the other team said the first group of boys were cheaters. I couldn’t help much. All I could do was listen and try to calm them down because I didn’t know the rules and regulations of basketball. It was a very, very frustrating experience for all of us!!! I wish I had known how to play basketball so I could have been more helpful and reminded them how to play the game . It makes me think about how important the Ten Commandments are to people. Now they aren’t really rules or regulations. The commandments are more like ways of living. They are God’s words to us that help us so we don’t holller and scream and physically fight. They are God’s words to us that help us to love God more. They help us by setting some expectations (a fancy way of saying things we are meant to do) for our lives. Here is a summary of them but you can find a much better list here. Make God the most important thing in your entire life. Honor God and yourself by taking a day of rest. Always be faithful to your husband or wife. Be happy with what you already have. These are some pretty good words to live by. Hard ones to live by too. I think they are worth learning and knowing. You never know when you might overhear a group of guys hollering “That’s not fair” in the game of life and you might need to help them!!! 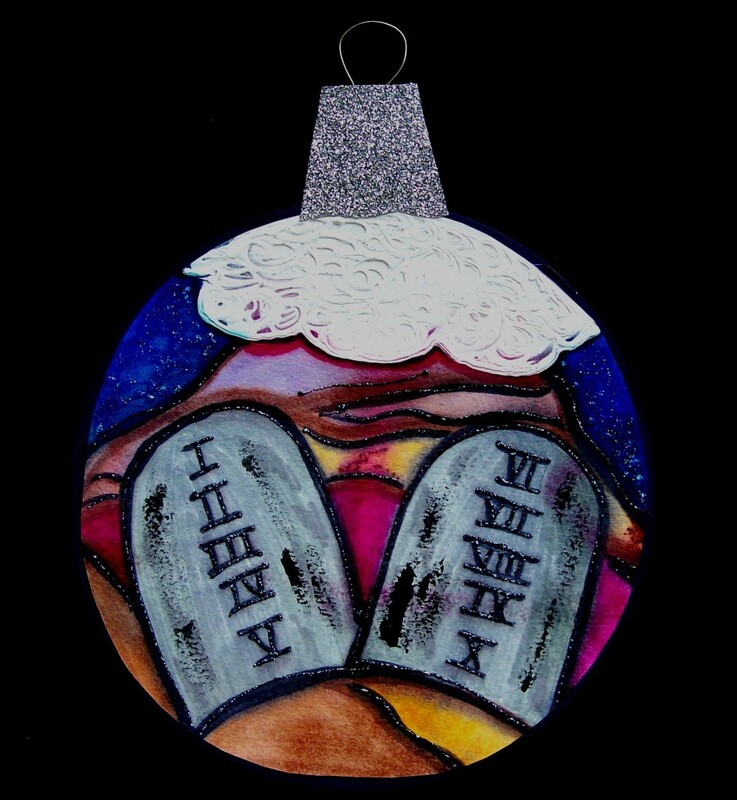 This entry was posted in Uncategorized and tagged Advent, Jesse Tree by revbeth. Bookmark the permalink.